This four-game compendium for one of the most influential first-person-shooters of all time could be a small masterstroke for Xbox One, writes Tom Hoggins. What’s it all about? It is a one-disc collection of the four Master Chief Halo games and their respective multiplayer components. So that’s Halo: Combat Evolved, Halo 2, Halo 3 and Halo 4. Halo:CE, Halo 3 and Halo 4 are all ports from the Xbox 360 versions, bumped up 60fps, while Halo 2 is getting an all-new anniversary treatment for Xbox One. So that’s new visuals, audio, weapon effects and completely remade cutscenes. All chapters are unlocked from the start and you have over 100 multiplayer maps to choose from. Oh, and access to the Halo 5 multiplayer beta. How does it look? Like a small masterstroke from Microsoft. Halo is one of the most successful and influential first-person-shooters ever made, and Microsoft want to ensure its legacy remains visible and intact through each of its Xbox generations. It’s easy to be sniffy about remakes and collections, with the suggestion they are little more than cash cows, but some games justify the treatment. 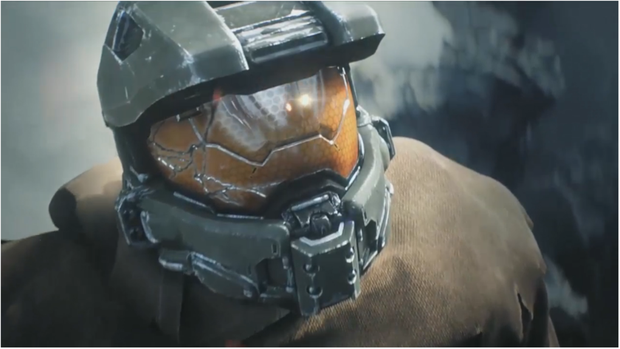 Microsoft and current custodians 343 Industries are desperate to build the Halo universe as video games’ Star Wars equivalent, with books, movies and TV series supporting the core series of games. Whether Halo has the narrative chops to do so is very much up for debate, but chronicling the series as they go makes sense, particularly for those whom the Xbox One is their first Microsoft console. And when they put as much effort into making it a compendium as this, cynicism only gets you so far. Multiplayer, meanwhile, allows you to play on every map released across the four games. The maps will all run on the original Halo engine they were designed for, retaining the balance for each slightly different level, but allows you to mix and match to your heart’s content. Or you can stick to one set, or filter specific match types. During the pre-match map vote, an icon indicating which game the map is from will be emblazoned across the choices. You will also get access to the Halo 5 multiplayer beta (currently the only method to do so), which starts on 27 December. This, of course, is part of the point. The Master Chief Collection is a warm-up, a chance for new Halo converts to get up to date before Microsoft releases its the newest chapter next year. It’s smart business, yes, but respectfully-crafted. When you are dealing with blockbusters as big as Halo, that deft touch is an welcome one. Anything else? Microsoft and 343 have been unusually open about their business plan for making Halo the cultural behemoth they want it to be. The Master Chief Collection is the first step, followed by Halo 5 next year. Just as intriguingly, 343 is working with Alien director Ridley Scott on TV show Halo: Nightfall, which will tell the origin story of Halo 5’s secondary protagonist, Agent Locke. When is it released? Halo:The Master Chief Collection is out for Xbox One on 11 November 2014. Ronan Price A game less in need of an age rating than a patience rating, Below emerges from five-year development hell with a warning. Don't buy this unless you've a deep well of bloody-mindedness.